PALMDALE – With September being National Preparedness Month, the city of Palmdale will host two free emergency preparedness presentations to help residents become better informed and prepared in the event of a disaster. The first presentation will be held at 7 p.m. Wednesday, Sept. 12, at the Chimbole Cultural Center, located at 38350 Sierra Highway in Palmdale. Guest speakers from the Los Angeles County Sheriff’s Department, Los Angeles County Fire Department and the American Red Cross will provide information and handouts on what residents can expect during a major disaster and how to prepare now. The second presentation will be held at 9 a.m. Wednesday, Sept. 19, at Legacy Commons for Active Seniors, located at 930 East Avenue Q-9. It is geared towards seniors but is open to all ages, as it will offer information helpful to everyone. No matter what kind of disaster– fire, flood, earthquake or something else—this presentation will offer how-to information, educational presentations and materials. “September is ‘National Preparedness Month,’ which makes this the perfect time to talk about how to prepare for when—not if—a disaster strikes,” German said. 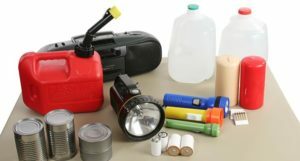 Some online resources to assist in emergency preparedness efforts include: www.ready.gov, www.antelopevalleycert.com, and www.redcrossla.org/antelopevalley. For questions or more information call 267-5170.